Dental realignment performed with traditional methods can take a long time, but the fastest way to straighten teeth is nowadays out there and it comes in many forms. Teeth take a long time to become misaligned and their realignment with conventional methods is lengthy as well, but modern technology has come up with various new methods that accelerate the process – here are some. One of the most modern approaches to facilitate tooth movement is a method that uses a special device that generates tiny vibrations to accelerate dental realignment. The device works in conjunction with dental appliances or retainers and it needs to be used for only 20 minutes a day, but it can speed up the effect produced by the retainers by as much a 50%. Another state-of-the-art method used in the field of accelerated orthodontics is a micro-invasive technique that stimulates alveolar bone remodelling. The intervention takes very short, it can be used in conjunction with any other realignment device and it can also be targeted to realign one specific tooth. The procedure is suitable for around 80% of all patients who need dental realignment, young or adult alike. Some dental alignment problems, most notably dental crowding, can be quickly ameliorated with some extractions. The intervention might seem too invasive, but if the selection of the tooth to be removed to make space for the others is made very carefully by an experienced orthodontist and the intervention is performed properly, the gap created will allow the rest of the tooth to move to the desires space quickly. Some of the most modern realignment methods use clear braces designed based on a 3D scan of the patient’s head and jaw. The method uses special software to design not only the first retainer, but also the stages of the realignment process and a clear aligner is created for each phase. The patients wear one aligner for around two weeks, after which the aligner is replaced with next on in the line until the desired position is achieved. 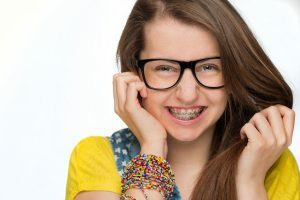 With traditional methods, dental realignment can take years, but accelerated orthodontics can reduce the time needed for straightening the teeth to around six or eight months. Dental realignment with these fast, modern procedures or with the more traditional, but also very advanced techniques used widely nowadays, dental realignment is not only for kids of a certain age anymore. Most procedures are suitable for young and for adult patients as well – though the fully developed jaws of adults might take longer to remodel and adult teeth move more lowly that kids’ dentures, the methods are just as efficient on patients of any age. The fastest way to straighten teeth is different for everyone – what works for one patient might not work so well for the other – so the best way to find out the best and fastest method in your case is to consult an expert dentist Centennial CO orthodontist about your options.